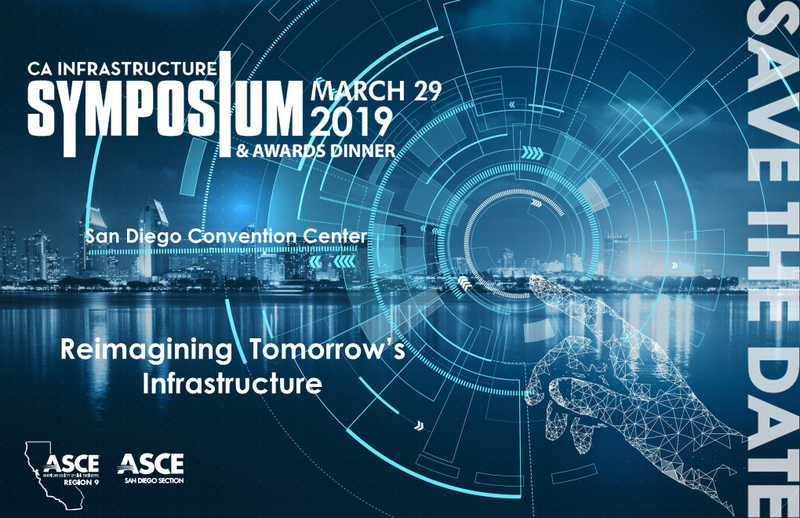 On March 29th, 2019, the American Society of Civil Engineers (ASCE) California Region (Region 9) and the San Diego Section will be co-hosting the 13th annual California Infrastructure Symposium and Awards Dinner in At the San Diego Convention Center. The Symposium will be an all-day event attended by engineers, educators, elected officials, professionals and the general public. It will highlight the importance of infrastructure investments in California with separate parallel panels of speakers on topics covering water and transportation infrastructure issues, challenges, opportunities, funding and projects. Click Here for the full CA IS and Region 9 Award Website! Please contact Jeff Copper, Jeff.Cooper@nv5.com, for more information and become a sponsor!